One in four people don’t network. You’re missing out on clients and money if so. I’ll tell you something, too. The main approach to growing my agencies for a long time was inbound marketing. Then I started going to Meetup.com events and everything changed. I was able to meet people that needs my services or referred others that did to me. I made like minded friends that I’m able to collaborate with and we help each other grow our companies. But, it’s not as simple as just showing up and handing out business cards. Here’s how you can use Meetup as a marketing tool to grow your business and customer base. If you’re going to a Meetup group, you need business cards. How else will anyone be able to contact you or send referrals? I recommend using Vistaprint for cards because they have an awesome design system and have affordable pricing. From the home page, select “Business cards” from the navigation on the left. This will take you to the next page where you can select to begin designing. Feel free to browse their template designs or upload an existing one you already have. Next, you need to choose your business card materials, finish, and quantity. Starting out with standard and simple cards is a good idea. Matte, glossy, and similar finishes do improve your branding and first impressions, though. Choose based on your budget and what you’re trying to achieve. Vistaprint has a lot of templates to choose from on the following page. You want one that is memorable and eye-catching, but at the same time easy to understand. I’m going to choose the first option because it is basic and uses contrast to make it very aesthetic, too. You can add more text fields by clicking the option on the left and typing in what you’d like to appear on the card. Images can be added to the card if you have a logo already designed. If you don’t have one, check out 99designs or Fiver to get them made for cheap. 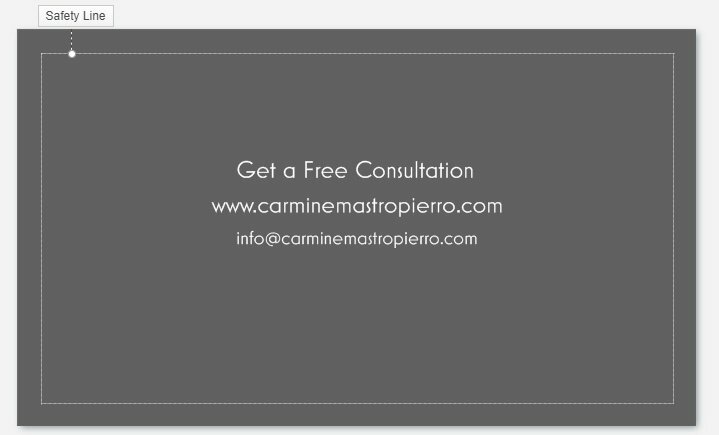 Add your name and services on the front of a business card. This is to esnure that people will instantly know who your are and what you do. I also like to include some big client names on the front to act as social proof. The back is where you should place your contact information and a call to action. I offer a free consultation on mine, for example. Hit the green “Next” button once you’re satisfied with your design. This will bring you to the review page. Ensure that you check off the list on the left. You don’t want to order them and find out you messed up spelling or something else. Keep these business cards handy for when you go to Meetup events. I’ve definitely forgot them once or twice! So, is Meetup good for business? Only if you go to groups that are aligned with what you do. For example, I probably wouldn’t go to a real estate marketing meetup because it’s not a market I’m actively in. Sure, I could probably get leads for web design, writing, SEO, etc, but I’d be better off going to a digital marketing, e-commerce, or groups focused on topics I revolve my businesses around. Head over to Meetup.com and type in your city with a keyword. Set the distance to what you find reasonable. This will list meetups by date and you can even choose a specific day on the sidebar calendar. Some meetups are free and others will require you to buy a ticket. I like going to a mix of them. Click an event that you think looks interesting. The host is also displayed if you’d like to contact them for any reason. Find a few meetups that you can attend in the next month. That’s my challenge for you. You got dressed, put some business cards in your wallet, and drove an hour away to attend a networking event. Now what? This is a great way to meet people and creates the opportunity to start conversations. “When does the event start again?” is an easy icebreaker. Showing up earlier also allows you to get a feel for the venue, where food and drinks are, and to get a lanyard(if available). I’ve found that showing up around 30 minutes early is perfect. It’s enough time to achieve the above and meet the other early birds. Even if it’s the middle of the summer, don’t show up in jeans and a t-shirt. Take the time to look professional and set a good first impression. Did you know that 72% of professionals think that a first impression is important and guess what impacts it the most? Your appearance and handshake. Don’t grip them like a gorilla, but offer a firm and slow handshake. It shows confidence and power. Your body language is a lot more important than you might realize. Slumped shoulders, crossed arms, and turning your feet away from people are signs of disinterest or defensiveness. Stay aware of how your body is presenting itself to others. You might not even realize what you’re doing half of the time because it’s all subconscious. Dr. Albert Mehrabian found something called the 7-38-55% rule. It means that communication is 7% verbal, 38% tone, and 55% body language. Eye contact is another thing you want to develop. It can be hard for some people, but practice makes perfect. Smile, hold eye contact, and break it every few seconds for a moment. You don’t want to stare into people’s eyes with a poker face — you might scare them away! It’s a networking event. You’re supposed to chat and meet like minded people. Trust me, everyone else is feeling just as shy or awkward. Be the one person that leads the conversations and introduces other’s to one another — even if just met them both! Have you been to a meetup before? What businesses do you run? Do you know what the schedule for this event is? Do you know where the drinks are? Keep it simple and get your foot in the door. But, please remember this one thing. Don’t throw out your business cards like a monkey throwing poop. It’s artificial and will make people feel like you’re just trying to sell to them. Instead, focus on building genuine relationships and learning about others. There may be a genuine opportunity to hand out your cards, and there always are. Some attendees will want to stay in touch, some might need your services, and others might know someone they can refer to you. After a long day at a Meetup group, you’re sure to have a fair amount of business cards and names in your head. Now the key is to stay in touch with these people. Remember, you’re trying to develop real relationships with them. I like meeting up with those that I’ve met for coffee if their local. It’s quick, easy, and we get to know each other better. If your services are a bit more on the expensive side, this face to face contact and one on one hangouts are crucial. No one is going to give you thousands, tens of thousands, or more after meeting you once. Their going to want to understand you and your business more. Heck, I’ve even gone out for beers and played golf with my clients. Make a real friendship out of it. Who said you just have to use Meetup as a way to network? You can use it as a marketing tool to get customers for years to come. By creating your very own events. Sure, it takes preparation, organization, and effort, but the rewards can be incredible. Think about it. If you run the group and are the host, you instantly have credibility and authority. Many people will come to you trying to break the ice and it makes networking super easy. To start a new group, simply select the option from the main navigation. Choose a location where your Meetup will be operating out of. Step 2 requires you to choose some topics to describe your group. Choose as many as you like, as it will help users find your group. The third step is to choose a name for your group and to set a description. Lastly, agree to the terms of service and move onto the pricing plans. If you don’t plan to have huge meetups at first, the basic plan works just fine. For the business owners that want hundreds of people to be able to attend, the Unlimited plan is the way to go. Once you’ve paid on the following page, your account will be ready to create events. I’m a huge fan of Alex Berman, so I’ll let his video explain how you can generate more leads by staring your own group. Meetup.com is a fantastic tool as a freelancer, agency owner, or any form of entrepreneur. It can help you get clients, customers, and meet the right people to move up the corporate ladder. The first step is to get great looking business cards and Vistaprint is my go to. Take the time to design nice looking cards and spend a few extra bucks to make them look unique. Then, search for meetups in your area. Niche down and find events that are directly related to what you do to maximize meeting the highest quality individuals. Dress professionally, too. A suit is a great choice, but some times I just wear a blazer and jeans. Focus on smiling, eye contact, and a firm handshake. Break the ice with others and show up early to get a head start. Stay in touch with the people that you meet and offer to grab coffee or do something casual. 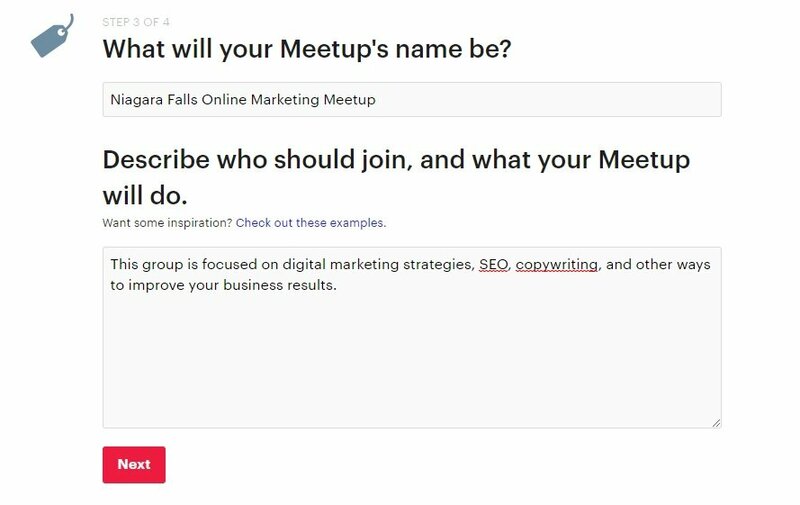 Lastly, you can also use Meetup.com to form your own group. They have fair pricing plans and can it serve as a powerhouse for getting leads. 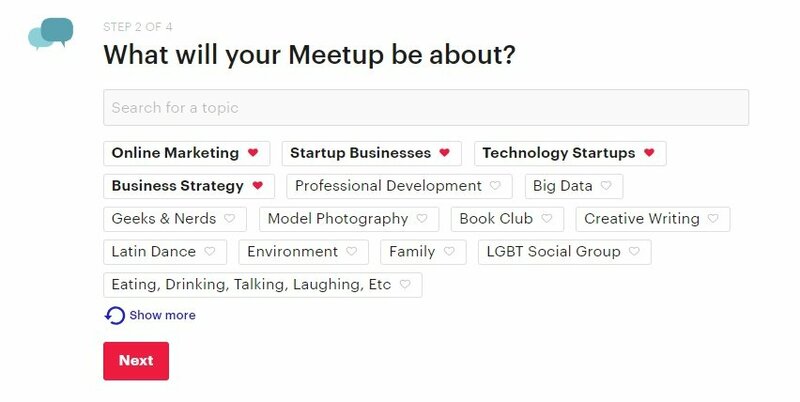 What’s your experience with Meetup for business?